At this point in his life and career, Wyclef Jean can do just about whatever he wants. 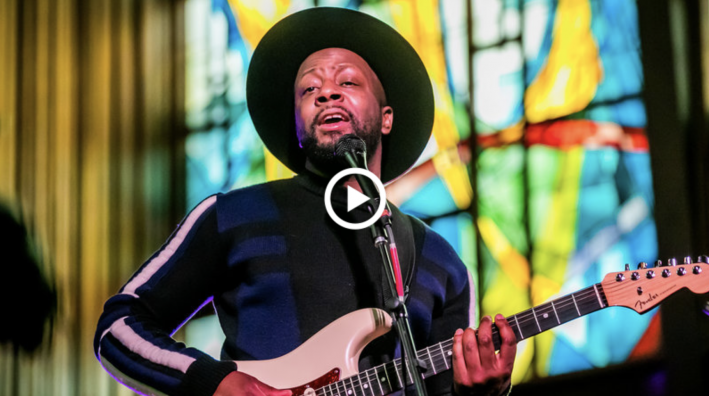 He’s sold millions in many configurations: as a leader of The Fugees, as a solo artist, as a featured guest on Shakira’s eternal “Hips Don’t Lie,” as a producer and collaborator on Santana’s Grammy-winning 1999 blockbuster Supernatural and more. As polished as the result sounds once it gets rolling, the performance’s improvisational nature gets stated right upfront for the audience to see: “So Jeremy, what I’m gonna do is, I’m just gonna vibe. And just keep up. OK? Keep up with Uncle Wyclef.” Jean cowrote “Maria Maria” with Carlos Santana and others, so it’s only natural that he and Torres would breathe new life into it before our eyes.